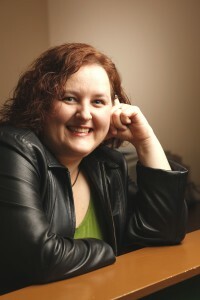 Dawn Meade is an A/V industry professional with over a decade in the field. She is currently Director of Marketing at Net-AV in Hampstead, MD, as well as a Board Member of AVNation. She is the host of AVNation’s AVSocial podcast as well as a frequent guest commentator on their other industry podcasts. She is currently an Adjunct Faculty Member of Infocomm University, and has served on several Infocomm Committees and Councils. She holds Certified Technology Specialist (CTS) designation from Infocomm International and is also a member of the National Systems Contractors Association (NSCA). In 2014, she was named to Commercial Integrator magazine’s “40 Under 40 Top Industry Influencers” and she is regularly quoted in that and other industry magazines. She is a blogger and a frequent voice on social media, where she is best known as AVDawn.